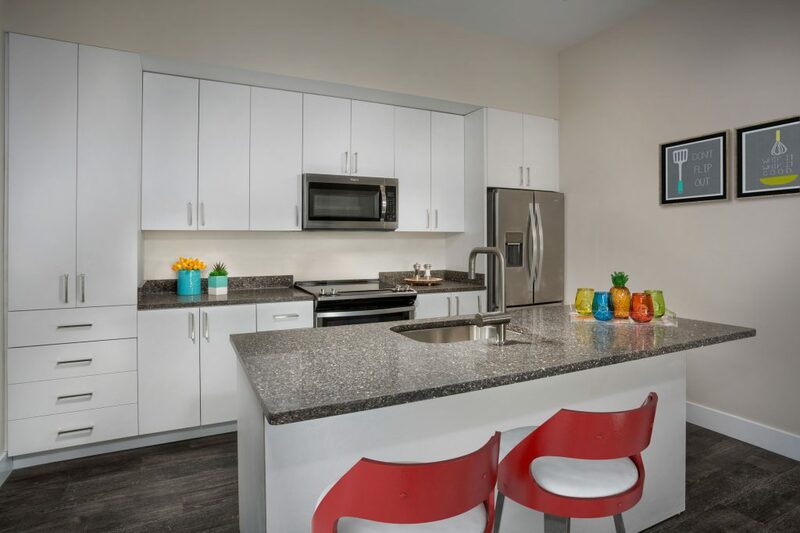 The kitchen features in your 2Hopkins apartment in Downtown Baltimore make these summer recipes a breeze. We all love enjoying a good meal but not always cooking one. With your designer kitchen at 2Hopkins, even prepping your meal becomes a luxurious experience. The quartz countertops, white cabinetry and glass-accent cabinet are just the start to what makes your kitchen as aesthetically pleasing as it is functional. 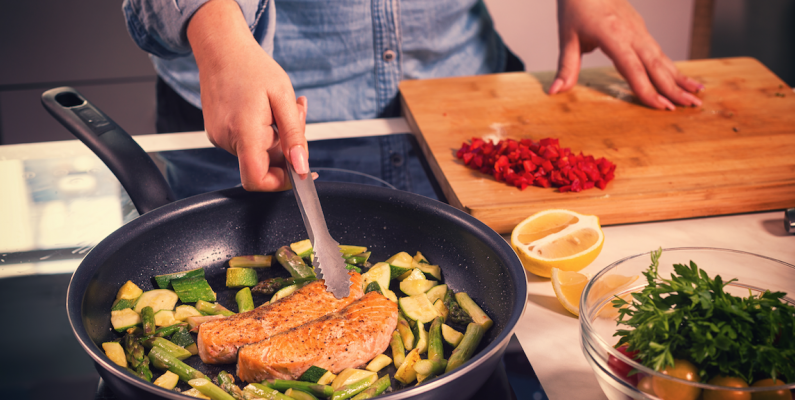 Imagine preparing your favorite summer dish while looking at the city skyline through the floor-to-ceiling windows in your Downtown Baltimore apartment. Now it’s time to decide what to make. How about these colorful summer rolls with peanut dipping sauce? Prepping the vegetables and setting up your rolling station is easy with your expansive kitchen island. For a main dish, we suggest a Crab Cake Mac N Cheese from the Food Network. Your stainless steel appliances will be put to good use to cook the pasta, make the cheese sauce and bake your dish. And for those of you with a sweet tooth, we recommend this four-ingredient blueberry pie for dessert. As you’re putting the finishing touches on your pie, switch on your pendant lighting to set the mood. You’ve successfully cooked dinner the 2Hopkins way and wasn’t it easy? After enjoying your delicious meal, you can store your leftovers in your French-door fridge and freezer drawer. Your completed dinner can only be enjoyed in a space equally as beautiful. To find your next home, stop by 2Hopkins Downtown Baltimore apartments.